The DARPA Robotics Challenge consisted of increasingly demanding competitions over two years. The DRC challenged participating robotics teams and their robots to complete a difficult course of eight tasks relevant to disaster. 25 teams from around the world participated in this demanding challenges but only three of them completed the mission in the specified time limit of one hour. Even the first place winner, team KAIST, took 44 minutes to complete. Many teams struggled a lot in operating their robots. Most of the robot experienced real ‘disastrous’ situation as falling down before entering the disaster scene or during the tasks. Some of them were from mechanical failure, the others were from operator’s mistakes or from bipedal walking difficulties, etc. Prof. Jun Ho Oh will review the DRC final process and discuss about what the difficulties were, what happened and what we learned from the challenge. He will also explain some details and winning strategy about the robot ‘DRC Hubo’. Prof. Jun Ho Oh received his B.S. and M.S. degree from Yonsei University, Seoul, Korea in 1977 and 1979, respectively. After short working at Korea Atomic Energy Research Institute as a researcher from 1979 to 1981, he received Ph.D. degree in mechanical engineering in the field of automatic control at U.C., Berkeley in 1985. He is now a distinguished professor of mechanical engineering and the director of Humanoid robot research center(Hubo Lab) at Korea Advanced Institute of Science and Technology (KAIST). He performed many industry and government research projects in motion control, sensors, microprocessor applications, and robotics, etc. He is especially interested in mechatronics and system integration. In the recent ten years, he completed unique humanoid robot series KHR-1, KHR-2, Hubo and Hubo 2. He also developed Albert Hubo and Hubo FX-1. Recently, he leaded team KAIST and won Darpa Robot Challenge final as first in 2015. He is currently studying to improve the performance of humanoid robot for faster and more stable walking, robust robot system integration and light weight design, etc. He is a member of ASME and IEEE. 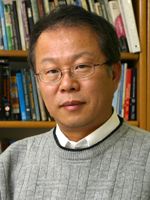 And he also is a member of the National Academy of Engineering of Korea. The introduction of light-weight drive concepts, impedance control, and variable-impedance actuation has significantly increased the pace of development and applicability of robots. However, even today the integration of robots with their sensors in complex tasks remains a research topic, typically not being able to cope with real-world scenarios. Advances in machine learning in the last years is about to radically change this situation. The efficiency and generalising behaviour of deep learning now allows us to perform end-to-end learning on complex tasks. By combining deep learning with reinforcement learning and exploration, actions can be swiftly learned using raw sensory data. These new methodologies no longer require explicit modelling of the movement in state space, configuration space, or task space; instead, all representations will be efficiently created in latent spaces in the neural networks. In my talk I will explore the very recent literature on this topic, and demonstrate the power of deep learning in the interpretation of complex sensory signals in a robotic setting. I will furthermore demonstrate how to efficiently generalise between latent spaces and configuration or task spaces. Patrick van der Smagt received an M.Sc. in computer science at the Vrije Universiteit Amsterdam and a Ph.D. in Computer Science and Mathematics from the University of Amsterdam. 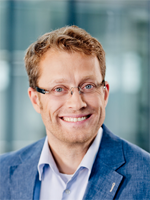 He is professor for computer science at TUM and researcher at fortiss Munich, and directs a joint lab on machine learning for biomimetic robotics. Besides publishing numerous papers and patents on machine learning, robotics, and motor control, he has won various awards, including the 2013 Helmholtz-Association Erwin Schrödinger Award, the 2014 King-Sun Fu Memorial Award, and the 2013 Harvard Medical School/MGH Martin Research Prize. He is founding chairman of a non-for-profit organisation for Assistive Robotics for tetraplegics and co-founder of various companies. His most recent startup focuses on machine-learning methodologies for robotics and data processing, in particular focussing on deep learning and recurrent neural networks. Highly intelligent robots have been a trope of science fiction literature since the genre’s inception. In reality, robots have so far been confined to strictly-controlled factory and warehouse floors, and the tasks assigned to them were tailored to their low level of intelligence. This is changing drastically as the Automotive Industry and some software companies are starting to bring about the advent of the Autonomous Vehicle in public traffic. Universities, research labs and development centers worldwide are working hard on the intelligence level necessary to release a self-driving car into the streets, and the first results will certainly improve traffic safety on average. But it is clear that the self-driving car will be inferior to a human driver for a very long time when it comes to dealing with difficult, unforeseeable situations that require creativity to avert accidents. As a result, autonomous cars will cause harm to humans in traffic, even if statistically much less than human drivers. This clashes with the way we think about machines as tools to make our lives easier and most importantly safer, not on average but individually. To be able to accept the statistical improvement on safety that self-driving cars promise, we need to change our way of thinking about machines. Björn Giesler received the M.Sc. degree in Computer Science in 2000 and his PhD in Engineering in 2005, both from the University of Karlsruhe. While at University, his research interests included augmented reality, computer vision, self-localization of and creating maps with sensor systems (simultaneously if possible), autonomous robots, human-machine interfaces and large software structures. He joined AUDI AG in 2005 to develop self-driving cars. On the path to this goal he worked on time-of-flight cameras, multi-camera stereo and motion stereo, automotive computer vision, camera self-calibration, sensor data fusion, and trajectory planning and control, as well as system architectures and functional safety. He spent the last three years developing what will be the first highly-automated driving system for the consumer market. He initiated and co-ordinated the student contest "Audi Autonomous Driving Cup (AADC)", first held in 2015. He recently joined Elektrobit Automotive GmbH, a company working on software architectures, systems, and components for the Automotive industry, to head the department for Driver Assistance and Highly Automated Driving. The micro/nano robotics provides new enabling technology for people to explore the world down to the nano meter scale. Although micro/nano robotics has achieved great progress, the problem of lacking practical applications is still a bottleneck that hindering its further development. In this talk, two multidiscipline researches of Micro/Nano Robotics with Nano Device Assembly and Drug Discovery will be introduced. For Nano Device Assembly, the traditional method with AFM, SEM or DEP based manipulation often costs several minutes for only one device assembly. While with newly developed robotic manipulation technology, thousands of nano devices can be assembled in a couple of seconds, which increases the efficiency over thousand times. For Drug Discovery, nano robotics provides many unique functions to facilitate the process of new drug discovery. As examples, how to use nano robotics to study mechanosensitive ion-channel and investigate efficacy difference of lymphoma targeted therapy will be presented. These researches show that micro/nano robotics is full of potential to bring breakthroughs for current scientific research, and as a result, new applications in turn will pull the technology into a higher level. Lianqing Liu received his Ph.D. degree in Pattern Recognition and Intelligent System from university of Chinese Academy of Sciences, China in 2008, and B.S. degree in Industry Automation from Zhengzhou University, China in 2002. He started his career in 2006 at Shenyang Institute of Automation, Chinese Academy of Sciences, and holds the position of Assistant Professor (2006-2008), Associate Professor (2009-2010) and Professor (2011 to now) respectively. Liu has published more than 150 journal and conference papers and book chapters and led more than 20 funded research projects as Principal Investigator. He has served as guest editor for Sensors, TIMC, as Organizing Chair of IEEE-CYBER 2015, as organizing committee member of IEEE-NANO2015, IEEE-ICRA 2014, IEEE-IROS 2009 and so on. 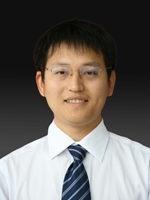 He was awarded Outstanding Young Scientist of Chinese Academy of Sciences in 2014, the Early Career Award by the IEEE Robotics and Automation Society in 2011, Lu Jiaxi Young Scientist Award of the Chinese Academy of Sciences in 2011, and President Award of the Chinese Academy of Sciences in 2009. Currently his research interests include Nanorobotics, Intelligent control, Biosensors. liability of vehicle owners and manufacturers. “hacker” possibly taking over the vehicle’s controls and using it for illegal purposes. This presentation will review these and other legal and ethical issues involving autonomous cars. Dr. George Bekey is an emeritus professor of computer science, electrical engineering and biomedical engineering at the University of Southern California, and a research scholar in residence at California Polytechnic University at San Luis Obispo. He received the M.S. and Ph.D. degrees in Engineering from UCLA. His area of research is robotics, with specializations in robot ethics and applications of robotics in biology and medicine. He is the author of Autonomous Robots: from Biological Inspiration to Implementation and Control (MIT Press, 2005) and author or co-author of two other books and over 250 technical papers in robotics, computer simulation and biomedical engineering. He is also a co-editor of Robot Ethics (MIT Press, 2012). 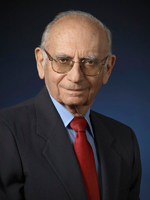 He is the founder of the USC Robotics Laboratory and one of the founders of the IEEE Robotics and Automation Society. He was the Founding Editor of the IEEE Transactions on Robotics and of the journal Autonomous Robots. Prof. Bekey is a member of the U.S. National Academy of Engineering and a Fellow of the IEEE, AAAI and AAAS. He has received a number of awards from universities and professional societies. When we attempt to use field robots or apply robot technologies, the purpose is to solve a problem in society, and the robots are just the means or the tools for this purpose. To solve the practical problem with robots, we first have to analyze the task in order to understand the particular problem. And if the problem is expected to be solved by robotic machines, which can perform the necessary tasks and replace or support the humans’work, we can use whole robotic systems. In these cases, the functions realized by robotic machines are like human working ability, (work done by human hands, or using their mobility). The expected roles of the robotic systems are generally: (1) decreasing the strenuous load of human workers and reducing working costs, (2) increasing accuracy, or upsizing in order to handle more heavy weight materials, (3) expand the working environment to cover hazardous or dangerous sites. For field robots, technical importance is the ability to cope with the variety of environment conditions. The set of the environment conditions covered by a robotic system should be defined for each practical problem. So, even though robotics research aims at generality or versatility, first we have to solve each particular problem and in each possible working conditions. In this talk, I will report on unmanned construction by remote operated heavy equipment for building erosion-control dams after big landslides or volcanic eruption, and also on inspection of large structure without using temporal scaffold for safety, and cost reduction in the infrastructure maintenance. I will also introduce recent Japanese activities on technical development and attempt on social implementation of field robots technology. 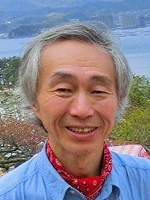 Shin’ichi Yuta completed his Ph.D. in Electrical engineering at Keio University in 1975. In 1978--2012, he was at University of Tsukuba, where he served as the vice-president for research in 2004--2006, and as director of Tsukuba Industrial Liaison and Cooperative Research Center in 2006--2010. In March 2012, he retired from University of Tsukuba, and he is now a professor at Shibaura Institute of Technology, Tokyo. He is now also serving as a Project Leader of "Robot and Sensor System Development Project for Infrastructure Maintenance" at NEDO, Committee member of "Practical Test and Evaluation of the Robot System for Infrastructure" at MLIT, and as Director of New Unmanned Construction Technology Research Association. In Tsukuba, he conducted an autonomous mobile robot project and published more than 500 technical papers in this field. Recently, his interest has been shifted to the field robotic technology for the natural disaster response and the maintenance of the infrastructures. He is a fellow of RSJ and IEEE. The Human Brain Project (HBP) is a 10 year initiative with the goal to build a large-scale computing infrastructure for simulation based neuroscience and related research. An important part of this infrastructure is the HBP Neurorobotics Platform, a research platform for high-fidelity virtual robotics, that will allow scientists from all over the world to connect reconstructed brain models to virtual bodies and robots and test them in realistic dynamic environments. I will shortly present the HBP Neurorobotics Platform and illustrate the chances and challenges of virtual robotics on the example of an integrated sensory-motor model of a mouse. The virtual mouse includes a brain, reconstructed from high-resolution imaging data, as well as a body, composed of a skeleton with muscles, skin, and sensory organs. If the mouse is embedded in a simulated environment with realistic physics it can be used in a wide range of in silico experiments while researchers can observe its entire neural activity. Finally, I will illustrate how such closed-loop sensory motor experiments can be used to inform and refine bottom-up reconstructed brain models. Marc-Oliver Gewaltig co-directs the Neurorobotics subproject of the European “Human Brain Project” and leads the Neurorobotics Section of the Blue-Brain Project at the EPFL in Lausanne, Switzerland. In his research, Marc-Oliver Gewaltig investigates the computational properties of biologically derived brain models in closed action-perception loops. 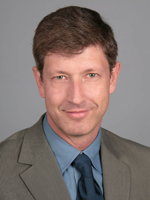 Before joining the EPFL in 2011, Marc-Oliver Gewaltig was Principal Scientist (2003-2011) and Project Leader (1998-2002) at the Honda Research Institute Europe in Offenbach, Germany, where he worked on detailed columnar models of information processing in the primate visual system (Schrader et al., 2009) as well as on learning and plasticity (Knoblauch et al. 2012). 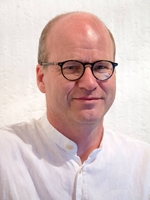 Marc-Oliver Gewaltig received his PhD in Physics in 1999 for his work on activity propagation in cortical networks (Gewaltig et al 2001, Diesmann et al 1999). I dream of making robots capable of executing extremely aggressive dynamic motions -- like the speeder bikes in the Star Wars' Forest of Endor -- out in the real world. These systems must plan in real time in novel environments, and be robust enough to deal with uncertainty from perception, imperfect actuators, and model errors. Moreover, I want to achieve this performance in legged robots and robot manipulation, where contact with the environment plays a central role in the dynamics. Achieving this performance reliably requires a focus on robustness, which has natural formulations using optimization. Making these optimizations tractable requires exploiting sparsity and convexity in our robot equations, and making informed relaxations. In this talk, I will review our best attempts to date and give examples with fast UAV flight through clutter and whole-body planning and control for humanoids. Russ is the X Consortium Associate Professor of Electrical Engineering and Computer Science, Aeronautics and Astronautics, and Mechanical Engineering at MIT, the Director of the Center for Robotics at the Computer Science and Artificial Intelligence Lab, and the leader of Team MIT's entry in the DARPA Robotics Challenge. 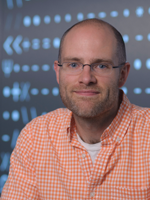 He is a recipient of the NSF CAREER Award, the MIT Jerome Saltzer Award for undergraduate teaching, the DARPA Young Faculty Award in Mathematics, the 2012 Ruth and Joel Spira Teaching Award, and was named a Microsoft Research New Faculty Fellow. Russ received his B.S.E. in Computer Engineering from the University of Michigan, Ann Arbor, in 1999, and his Ph.D. in Electrical Engineering and Computer Science from MIT in 2004, working with Sebastian Seung. After graduation, he joined the MIT Brain and Cognitive Sciences Department as a Postdoctoral Associate. During his education, he has also spent time at Microsoft, Microsoft Research, and the Santa Fe Institute. After 3.11 (The Great East Japan Earthquake 2011), we have been observing increased volcanic activity in Japan. Volcano eruptions cause damages to habitants by volcanic bomb, volcanic ashes, lava stream, and debris flow. To protect lives, robotic technologies are now expected to be applied to observe volcanic activity in restricted areas close to the craters. Based on the above background, ministry of land, infrastructure, transport and tourism (MLIT) in Japan organized some robotics projects to apply to natural disaster observation and infrastructure surveillance, and our research group is now a part of them. Our objective is to forecast debris flow with multi-rotor UAVs, and our current challenges are to obtain a 3D-map of the target environment, and to enable soil sampling from restricted areas. In this talk, I will introduce recent robotics projects for natural disaster response in Japan, and present our practical research activities in volcanic areas. Keiji Nagatani received his Ph.D. degree from the University of Tsukuba, in 1997. He was a Postdoctoral Fellow at Carnegie Mellon University, from 1997 to 1999, and he was a Lecturer at Okayama University, from 1999 to 2005. 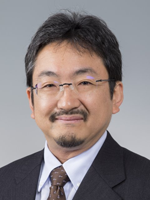 From 2005 to current, he is an Associate Professor at Tohoku University. His research interest focuses on field robotics, in particular tele-operation of tracked vehicles for search and rescue missions, as well as development of mobile robots to explore volcanic areas. He is a Member of RSJ, SICE, JSME, and IEEE.